This article needs to be updated with material from Historical: Reunification War. Once this title clears the Moratorium period, or if it already has, please consider revisiting this article and updating it with the new material, removing this tag once all information has been added. Ian Cameron (b. August 2nd 2514 - d. August 24th 2602)  - Terran Hegemony Nobleman, politician, One of the founders of the Star League and 13th Director-General of the Terran Hegemony. Youngest son of Director-General Deborah Cameron, he witnessed his mother moving forward with her Strategy of Aggressive Peacemaking policies. Her peacemaking would be the foundation of his future policies. In 2533, his mother would announce that he would be betrothed to Shandra Noruff, Baroness from New Earth and military officer in the HAF. This announcement came when Ian had joined HAF. He was extremely angry at his mother, as he felt he was being forced to marry a woman he didn't know. He refused to talk to his mother for a year, which brought pain in his relationship with his mother. At the time he was firm believer of being free to pick any woman he chose. His mother and the Duke of New Earth arranged an official meeting for the fated couple to meet at a grand ball. Their meeting was brief and both of them left as soon as possible. His mother and the Duke began to wonder if the arranged marriage was a good idea, but decided to force him and Shandra to write to each other to foster a relationship. These exchanges of letters built a connection that would cement their contracted marriage on April 12th, 2535. Ian's wedding to Shandra included rose petals dropped by helicopter, thousands of well wishers and their limousine being escorted by two BattleMechs from each of their respective military units. A year later they had a son, Timothy, however he was born with an inoperable heart defect and died shortly after. After serving as an officer in the Hegemony's Armed Forces, he served as ambassador-at-large for his mother and later his brother. Within a few years of his mother's retirement and his brother's reign, unseen problems within the military began to rise. A Cabal of soldiers and officers had formed, due to Lady Deborah's new policy of diplomacy over military actions. They were tired of being overshadowed by his mother's funding towards Diplomats; they begun to plot ways to regain their status and restore their funding. Ian's life would be changed forever after a few years of his brother's reign. One of the disenchanted officers of the cabal took matters into his own hands and gunned down his brother. In September 28th 2549, Ian declared himself Director-General of the Hegemony without any trapping of limited election traditionally conducted. Next day, elements of the 51st Dragoon Regiment began to attempt to conduct a military coup of the Hegemony on Terra. They had seized the nerve centers of the control network and political institutions, principle in Geneva. They had hopes of seizing the initiative to create with the assassination of Joseph Cameron to take power for themselves. Ian was located in Mexico City, where he was staying his local private residence. In hearing of the revolt, he then deployed a regiment the Household Guard to Europe where they were he ordered them to surround the city. Then he called on all soldiers of the military to swear oath of loyalty to Hegemony and Cameron family. In Geneva, Ian had tried minimized damage inflicted to the ancient city, by having food, water, and utilizes cut off while he allowed the rebels' demands to be heard. Within ten days since the siege of Geneva, rebel troops began fight among themselves. Ian's Loyalist forces moved into the city to rescue civilians whom had been held hostage by the rebel troops. His loyalist force began to clash with the Rebels and begun a full scale battles in streets of Geneva. Ian had ordered his forces to keep firing to minimum in order from endangering civilians and damaging the city. However, rebels took advantage of Ian's forces reluctance to engage them readily. However, by end of the day, the Ian's forces had surrounded the surviving rebels and they conceived surrender. Month after the recapture of Geneva, Ian dispatched military forces to capture the last of the soldier cabals located at the Dresser Military Base on Lipton. Ian carefully administered punishment towards the Rebel troops, with eye in preventing such event from happening again. His forces had captured 3,000 rebel troops, of those troops a thousand of them were sentence to death. While the remaining prisoners would sentenced to life, however over course of next ten years they would be paroled. In the wake of the military coup, Ian began to deal with the Hegemony's other problems. He first increased funding towards new military innovations and research, in order to appease HAF's military and trying to shore up the Hegemony's dwindling technological edge over it's interstellar neighbors. He also established the Department of Military Investigations within the HCIB, to ensure military loyalty. The Hegemony's economy was also threatened due to their resources being largely depleted. His ambitions to push their further technological improvement would be unattainable unless more resources could be found. He did not want Hegemony become dependent on other nations for their needs, so he turned to his long held dream; unification of humanity under the Hegemony's leadership. He drew out plans and began to lay the foundation of his ambition which started with a revitalization of the Hegemony’s armed forces. He then turned Hegemony's Foreign Relations department where he expanded it's capacities. Aside from starting the development of Interstellar Communication, he secretly laid plans for the Star League, which would tie the economies of the Great Houses to the Hegemony's. He believed originally that it would take 50 years for his plan League to be realized. By 2551, the Third Andurien War was being waged between House Liao and House Marik. Ian attempted to persuade both warring leaders that war was folly. However, Confederation's leader, Chancellor Terrence Liao was not interested in stopping the war, since it was means for him to promote himself and gain a reputation. However, Liao's rival, Captain-General Albert Marik, was indeed interested in Ian's ideas and dreams of a unified Inner Sphere. He too had similar desire to end what appeared to be ceaseless war. After years of fighting, Ian once again tried to negotiation a peace treaty in 2556 between the two warring factions. Terrence Liao's nation faired badly in the war, open opportunity for Ian close end the war and try to convince Liao to sign on for the Star League. With aide of Albert Marik in form of conceding ownership of Andurien, Ian managed to convince the skeptical Chancellor to sign on for the Star League. He offered a "favorite nation" trade agreement to help convince the Liao to join on. On June 3rd, 2556, two treaties were sign, publically Andurien Peace Treaty of 2556) was signed by Albert Marik and Terrence Liao in ending the Third Andurien War. However, second secret treaty was signed, the Treaty of Geneva which laid down the foundation which help usher the creation of the Star League. In Treaty of Geneva, Ian laid the plans for the League would include laying down frame work to unify combined economics of league member worlds, establishing single currency, the Star League Dollar. His plan would also allow the member states to retain control of their respective realms and identities. He would allow some advance technologies to be exported to member states in exchanges of House Cameron being recognized as leading heirs to new realm's title First Lord of the Star League. He managed as part of membership to the Star League, to contribute paying taxes, equipment, soldiers and lands for establishment of the League's armed forces; The Star League Defense Force. During this time of establishing the Star League, Terran Hegemony's resource problems were alleviated by firmly establishment of League. Its Joint-ownership of worlds within neighboring nations, help bring in more raw materials to the resource starved Terran Hegemony. Despite secrecy of signing of Geneva Treaty, rumors of its content soon got out and word spread among interstellar nations of the Inner Sphere. Publically, people reactions were in favor but questioned how it works. Ian tried keep treaty's content as secret to lessen problems when he try convince remaining Inner Sphere realms to sign on. With assistance of Albert Marik, Ian would target House Steiner leadership as part of next steps of establishing the League. The Lyran Commonwealth was an economic power house; Ian felt its inclusion into the League was vital. Ian wanted its as a stabilizing force to help the League's future economy, however Lyran leadership had shown disinterest in past to plans of the League. Archon Craig Steiner who had crafted his realm's economy to its peak at the time, felt the Star League would absorb his nation's economic might. However, things changed in 2555, when his successor Tracial Steiner came to power. She felt the League's defense forces would better augment the Commonwealth's defense due to their stronger leadership. Ian crafted a treaty with Tracial, which would establish two military academies in her nation, on Skye and Tharkad. She would sign the Tharkad Accords in 2558, becoming the next member of the Star League. Negotiations with the Federated Suns would be delayed, as First Prince Alexander Davion, having overseen the end of the Davion Civil War, felt his nation would join the Star League only after his nation had recovered from the war. It wasn't until 2567 when the First Prince felt his nation had strengthened enough to enter the League. The New Avalon Accords would include writing that would assure that, should the Draconis Combine threaten war against House Davion, preemptive actions would be taken by the Star League Defense Forces. Ian had a tougher time selling the membership in the League to House Kurita. Even though its leader, Coordinator Hehiro Kurita felt his nation would benefit from joining, he felt that it was going be difficult to convince his nobility of its virtues. The House Kurita nobility was egotistical and stubborn, seeing themselves as far greater than they actually were and not needing the Star League. it would take two years after negotiations begun, and many concessions by Ian, to enable Lord Kurita to bring in his Great House into aegis of the Star League. On August 15th, 2569 the Draconis Combine finally joined as member of the Star League, giving birth to the Star League. After the last treaty signed between the Great Houses and House Cameron, two years would pass until Ian's Star League became operational. In 2571, The 2,000 page Star League Accords would be signed into law in Hegemony Congress on July 9th. The cermony included each of the six Great House's leaders, including Ian, reading out loud from the preamble of the Star League and sign the document. It had been rumored, after Ian wrote his signature on a document, a single tear from his eye would stain document just below his name. He would name his wife, then Commander of the Hegemony Armed Forces, as Star League Defense Force's first Commander-in-Chief. After the signing of the Accords of the League, Ian began look forward to the next goal in his plans to unify humanity; the Periphery. His dispatched copies of the Star League Accords to various periphery nations, would serve as a form of invitation to join the League. However, all periphery nations had refused the invitation to join. Ian and his council lords publicly showed regret of their rejection. He then has propaganda produced, portraying the periphery nation's people as lost and dangerous people. In 2572, Ian found that it was impossible for him to both control retain control of the Hegemony and Star League. He would designate that Director-General position as of that year to be held by either heir to First Lord or President of Hegemony Congress. With establishment of Star League's Bureau of Star League Affairs to run the affairs of the League's bureaucracy in 2573, Ian would regularly consult his fellow Lords on individuals he'd like to appoint various position in six departments of the Bureau. After a series of skirmishes with former troops who were removed from service, some involving SLDF forces, Ian would be forced into action. In the spring of 2572 Ian would inform the Council Lords that members should bring their armies back to war status to help manage former soldiers now marauding various worlds. As part of this effort he had the SLDF organize massive military exercises on Periphery border worlds. He had envisioned this to help keep the League and member state troops better trained and also to provide employment for former troops that were discharged from the armies. In the fall of that year the exercises would prove to be an embarrassment to Ian and Star League. The 13 SLDF Divisions would show they were still not as sharp as the 10 member states' forces they were training with and the exercise proved to bolster Ian's adversaries among the Periphery nations' leadership. However in the end the League gained a treaty allowing the SLDF to have bases on border regions of the Periphery. During this time, a series of events occured between Ian's Star League member states and nations of the Periphery. 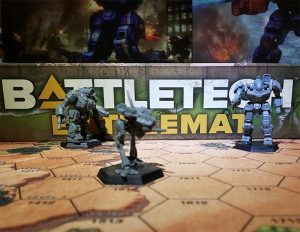 Outworlds Alliance President Catherine Avellar purchased a few companies worth of Light and Medium size BattleMechs for use in her nation's small army. Scattered reports and rumors were received by various powers of the purchase and the amount was inflated to a regiment's worth of BattleMechs. With the "discovery" of a regiment of BattleMechs in the Outworlds Alliance Ian felt the League needed to act. He issued Star League Order 21, where certain worlds in the Alliance must allow elements of the SLDF forces on their soil as part of defensive measure from banditry and pirates bands. Ian sent SLDF Regular units along with Draconis Combine forces to the Alliance, among the House Kurita units were the 17th Galedon Regulars. The Regulars, like other units, were ordered to conduct a search for these rogue 'Mechs and were assigned to the world of Santiago. The local population did not look favorably upon this and regularly heckled the Combine troops. Later a member of Galedon Regulars, patrolling the poor parts of one of the cities, would spark the Santiago Massacre after killing 27 civilians in a panic. Other Periphery nations began to distrust the Star League in general and withdraw from negotiations with them. In February of 2573 a Taurian fleet of five Warships would have a malfunction finding them well in Federated Suns space. With the ships’ navigation and communication malfunctioning, the ships would end up in orbit over the world of Fontana in the Malagrotta system. Miners on the House Davion controlled world sent panicked communications believing this to be an invasion to local Davion Command who would respond with a fleet of ten WarShips and attack the Taurians on sight. Only a single cruiser would survive to withdraw to the Taurian Concordat which began readying its military and assumed a defensive posture. He would then publically side with Federated Suns and present to the media that it was Taurians who caused the incident. He then granted the Federated Suns compensation for cost of their loses in Taurian's "invasion". The Concordat government would refuse any more diplomatic communications with League or the FedSuns and this incident and its aftermath would later called the Malagrotta Crisis. After the Malagrotta Crisis, Ian and his Council Lords were left split on how to deal with this latest incident with the Periphery. Economic sanctions were placed on the Periphery nations, however these sanctions caused economic problems for Star League member states as well. A number of corporations were unable cope with the additional cost of tariffs, and many defaulted on loans and went into bankruptcy. With millions of people losing jobs, most notably in Lyran Commonwealth and Free Worlds League, Ian called the Council Lords to an emergency meeting on the Hegemony world of Pollux in December 2574. The Council Lords petitioned for war to be declared on the Periphery nations, feeling that a war would deflect blame and possibly simulate their own economies in the midst of the economic sanctions they had tried to use to bring Periphery to their knees. Ian agreed, seeing his work of forming the Star League being threatened by a people he viewed as barbaric. He also felt that a war against the Periphery would be the means to help unify the Great Houses under the banner of the Star League. He then issued the Pollux Proclamation, which called on the Periphery to submit to the league. Giving them only three months to respond, it was more a thinly veiled declaration of war against the Periphery, than an attempt at peaceful reconciliation. In February of 2575, as part of League preparation for war, Ian would issue an edict, known as Directive 22, to each of the League's member states to submit troops for the war effort. He would appoint his wife and SLDF commanding officer, General Shandra Cameron, to overall command of the League's war efforts. SLDF would form the command structure of expeditions for use in four separate campaigns. In March, Ian received word of from the Periphery's "ambassador", who represented the Independent States of the Periphery, that they would not submit to his League. Ian then had the Bureau of Star League Affairs begin a media campaign aimed to produce propaganda for the coming war. He would strip the Bureau's leader, Duke Mitchell DeGrason, old friend and the best man at his wedding, of his title as head of the organization when he showed his disapproval of Ian's propaganda campaign. Meanwhile, in April, Gregory Amaris, besieged President of the Rim Worlds Republic, pleaded for help after his own action against rebels of the Rim Republic Army and his own citizens placed him under house arrest. His plead for help would go unanswered for 20 years. Ian would be part of the planning for the Taurian Campaign into the Periphery, where he would send six of his SLDF Corps into the Taurian Concordat, with a large number of Auxiliary Corps forces made up of Federated Sun troops by end of 2576. With his wife resigning from Commander of the SLDF, he would appoint General Carlos Dangmar Lee as her replacement. During the course of the Taurian campaign, Ian would replace commanders for various reasons. Finally in 2596, Ian's last campaign against the Periphery ended with the Taurians signing a formal surrender. The Taurian campaign would be last of the Reunification War, a victory for Ian's Star League. Annexation of the Periphery Territorial States became economic boom the helped the Inner Sphere fuel its economic recovery. In 2600, his wife Shandra died. Within few weeks of her death, Ian would formally name his son Nicholas as Heir-apparent to the throne of the Star League. Two years later, Ian would pass away and his son would assume the throne. Ian Cameron would marry Duchess of New Earth, Lady Shandra and they would have two children. His first son, Timothy would die within a week of his birth, while his second son, Nicholas would take up reins from him become the second First Lord of the Star League. During the Reunification War, Ian's unintended consequences of ignoring the plight of his beleaguered "ally, President of the Rim World Republic Gregory Amaris would lay the seeds of resentment towards Ian Cameron's family and to House Camerons destruction. principles of peace. If the Star League is forced to fight for peace, it will be a fight to the death. Among other honors, Ian Cameron Shipyards in the Terran system was named in his honor. ↑ Star League sourcebook, p. 182 Cameron Family Tree - Ian Cameron's birth, Death and year reign are noted. ↑ Historical: Reunification War, p. 45, "Ian Cameron Profile"
↑ Star League sourcebook, p. 40 Lord Ian and Lady Shandra - courtship of Ian and his future wife Shandra Noruff. ↑ Star League sourcebook, pp. 33, 35 - Hegemony in Crisis & One Species, One Realm - Ian's known early life and matters building to his ascension. 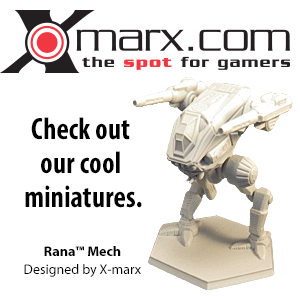 ↑ Star League sourcebook, p. 34 September Revolt - the Conflict in wake of his brother's death and his actions. ↑ Star League sourcebook, p. 35 Man with a dream - Ian tries to balance the punishment of rebel soldiers while trying not upset the general public. ↑ Star League sourcebook, p. 35 - a man with a dream - Ian begins to revive the Hegemony and plans for the Star League as means save it. ↑ Star League sourcebook, p. 36 Fateful Andurien - Ian efforts to use his attempts to the Third Andurien War to jump start the creation of the Star League. ↑ Star League sourcebook, p. 36 Fateful Andurien - Steps and line items that would be part of the Star League. ↑ Star League sourcebook, p. 37 - Terra Hegemony economic difficulties are eased by both the Jointed-Owned worlds of the League and building formation of the Star League. ↑ Star League sourcebook, p. 38 Secret Negotiations - House Steiner holds out, but then joins after a change of leadership. ↑ Star League sourcebook, pp. 38-39 Secret Negotiations - House Kurita and Davion join the Star League, through Ian Cameron's negotiations. ↑ Star League sourcebook, pp. 39, 41 Lord Ivan and Lady Shandra & - Organizing the Military - Shandra Noruff-Cameron ascension from Hegemony top military commander to Star League's first Commander-in-Chief. ↑ Star League sourcebook, p. 42 - Prelude to War - Ian Cameron sends the Periphery nations copies of the accords of the League. ↑ Star League sourcebook, p. 41 New Order - Ian has individual departments of Star League created, consults various Council Lords of the Great Houses. ↑ Star League sourcebook, p. 43 United Trumph Military Excerises - Ian's efforts to sharpen his military and put down banditry caused by former discharged troops. ↑ Star League sourcebook, p. 43 Sparks of Santiago - Ian Cameron dispatches forces into the Outworlds Alliance search for Alliance BattleMechs, only to trigger more unrest between SL and Periphery. ↑ Handbook: Major Periphery States, p. 16 - Outworlds alliance's purchase of 'Mechs lead to the events leading to the Santiago Massacre involving Ian order of occupation. ↑ Star League Sourcebook, p. 44 - Malagrotta Crisis - Events of the Malagrotta Crisis and his response to them. ↑ Handbook: Major Periphery States, p. 17 A Fateful Choice - Malagrotta Crisis and Ian Cameron involvement. ↑ Star League sourcebook, pp .45-46 Pollux Proclamation - Ian actions and events that triggered the Reunification War. ↑ Star League sourcebook, pp .45-46 Reunification War/Battle Plans - Ian places his wife as commander of the SLDF campaign against the Periphery. ↑ Star League sourcebook, pp .45-46 Pollux Proclamation - Ian strips his old friend of his position as head of Bureau of Star League Affairs for disagreeing with him. ↑ Handbook: Major Periphery States, p. 15 - Ian noted action include not taking no for answer. ↑ 'Star League sourcebook, p. 51 Rim Worlds War - Gregory Amaris pleads for help go unanswered due to war with the Periphery. ↑ 'Handbook: Major Periphery States, p. 24 - Gregory Amaris plight with his own people leaves him trapped in estate for decades, Ian is blamed for it. ↑ Star League sourcebook, pp. 47, 49 Reunification War - Ian actions during the Taurian campaign/war until its conclusion. ↑ Handbook: Major Periphery States, p. 21 - Brave New Worlds? - The Ian's annexation of the Periphery Territorial States would end up rejuvenating his Inner Sphere allies at the cost of the Periphery itself. ↑ Star League sourcebook, p. 52 Postwar Era/A New First Lord - Ian's remaining years and his passing marking the beginning of his son Nicolas's reign. ↑ 'Handbook: Major Periphery States, p. 24 - Gregory Amaris 20 years house arrest creates great deal resentment in generations of Amaris family members towards House Cameron, ultimately leading to Amaris Coup. ↑ Era Report: 2750, p. 15, "Reunification"
↑ Era Report: 2750, p. 24, "Technology Ascendant"
This page was last edited on 23 September 2018, at 08:03.